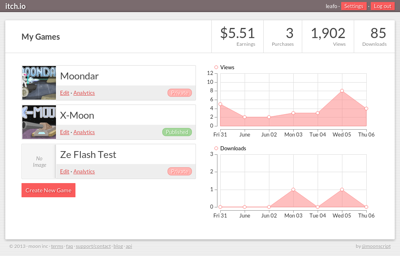 I added some more detailed analytics and updated the designs of a couple pages last night. The game list looks a lot nicer, and has links to the relevant edit and game pages. 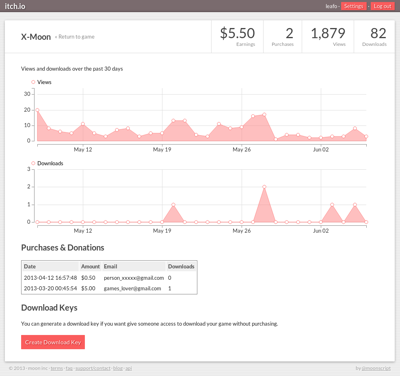 I’ve also included some statistics for total revenue, purchases, views, and downloads. Through Limo Service Seattle Airport, you can hire made to order limousines that are enriched with the greatest in class facilities to make your trip delightful. These limousines can be hired anytime and you can avail these services the split second you land at the airport.